Dear Fashionable Hostess, I am usually not the type to change my jewelry that much, but I am really feeling the new trend of statement jewelry. That being said, working as a doctor in a county hospital has its limitations. I can’t wear anything too flashy because I have to be ‘serious’ and ‘professional,’ but I need a little pop from time to time. Also, I don’t want to wear anything too expensive as I do not work in the best neighborhood….Can you send me some ideas?? Necklaces: For necklaces I am really into shorter lengths at the moment, which I think is perfect because long dangly ones would be hanging in your patients’ faces anyways! 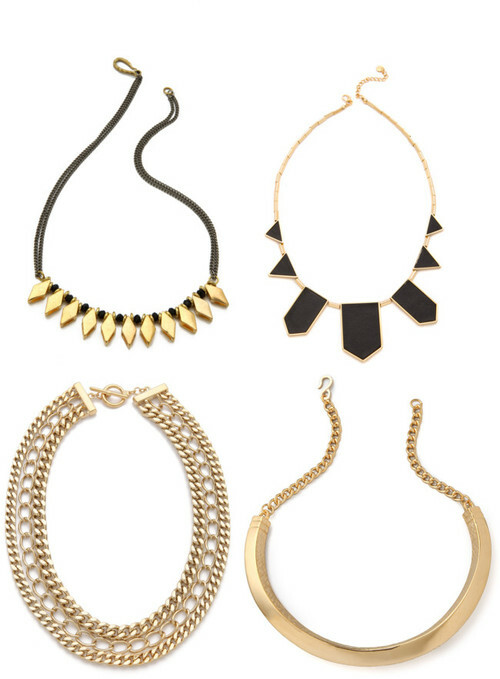 The necklaces I chose below are really great because they can definitely double as work-wear and cocktail-wear!! For casual work days, pair them with a flowy Joie-esque blouse and a vest; for an even more “professional” look, pair with the ‘layered look’ of a white button down shirt and a striped V-neck sweater on top… finish the look off with straight leg slacks, and pointy boots. 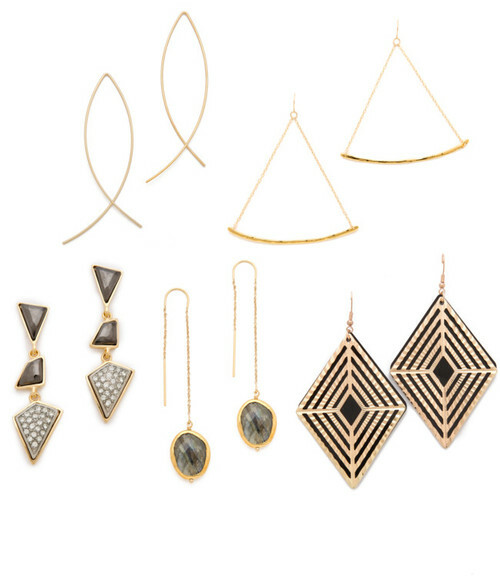 Earrings: Then there is also the route of earrings which is a HUGE trend right now. Pull your hair back in a tight low bun or a loose messy side fishtail braid and let these delicate yet edgy pieces do all of the talking! Maybe throw in a darker shade of lip color if you are feeling spunky! *Notice I tried to stay away from to many crystals/faux diamonds because ‘bling’ is a no no in front of patients (even if they are fake! ).